Microsoft wants you to get into the Windows 10 Groove app groove for the holidays with 10 full, free albums. Microsoft has a Groove-y gift for music fans rocking Windows 10 in the United States. 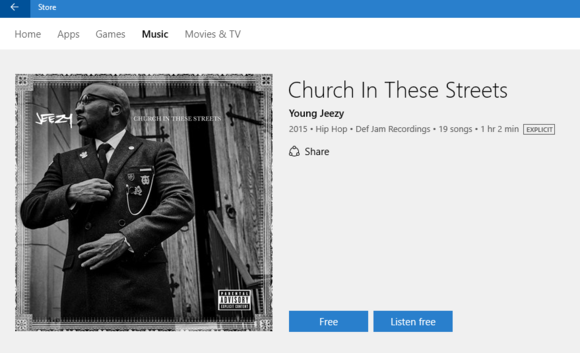 The company has chosen ten albums from 2015 to offer free of charge via the Windows Store. The album selection is almost exclusively from Universal Music Group recording artists including James Bay, Selena Gomez, and Ellie Goulding. Each album is offered separately, which means if you want all 10 you’ll have to redeem the free offers one-by-one. 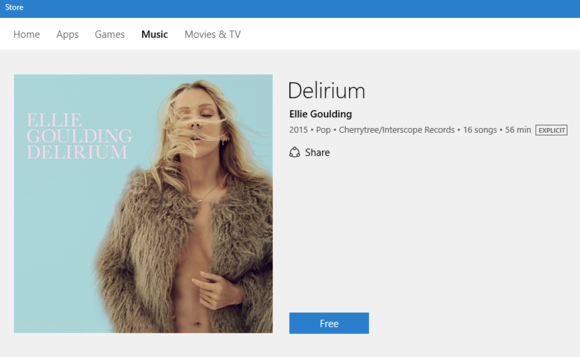 Any albums you redeem in the Windows Store are immediately downloaded to your PC via the Windows 10 Groove app. Microsoft says the offer is only available for a limited time, but didn’t specify when it will expire. The impact on you at home: Free music is always worth taking advantage of and is a great way to find new artists you haven’t heard before—although we can’t help noticing that this is clearly a way to get you to use the Groove app in Windows 10 more often than you otherwise might. Groove is a nice modern UI music player, but if it’s just not your preferred player you can find all your free downloaded music files in Music > Purchases.